Bill Moog invented the first Industrial Moog Servo Valve in the early 50s, and Moog has had a relationship with the UK since 1958, when Bill Moog licenced George Dowty to manufacture Moog Servo Valves in Gloucestershire. 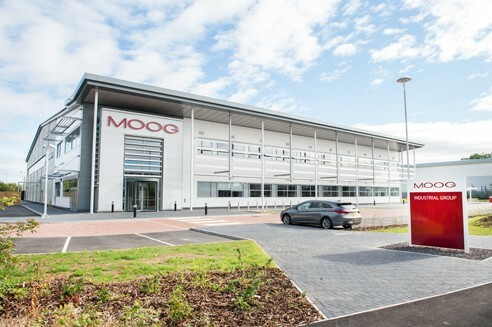 Since 1968 Moog has been established officially in the UK - this means that this year we celebrate half a century of providing local expertise and advanced facilities that are growing to meet our customer's needs from the supply and service of Moog servo valves, designing aerospace test systems to manufacturing Formula 1 subminature servo valves. Moog Servo valves for all industrial applications, as well as the repair and upgrade of heritage valves such as Dowty, Pegasus, Atchley, Ultra Valves. Moog is proud of its history which goes back to 1951.